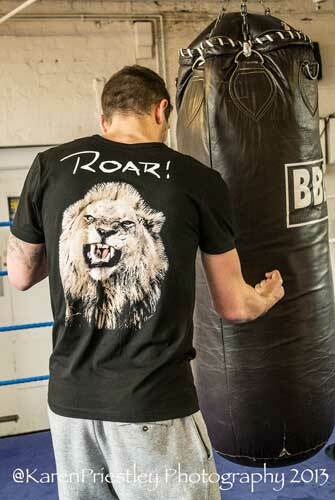 'Listen To The Lion Roar' design black fashion t-shirt, printed front and back, available in sizes S to XXL. All Brian Rose garments have been designed to be cared for with the minimum of fuss. However, we recommend that you carefully follow the instructions and recommendations to get the best performance and appearance wash after wash and wear after wear. Wash similar colours together and always wash whites or paler colours separately from darker colours. Use an appropriate detergent. Colour liquids should be used for brightly coloured, or darker garments. Wash the garment inside out to help maintain the surface appearance. 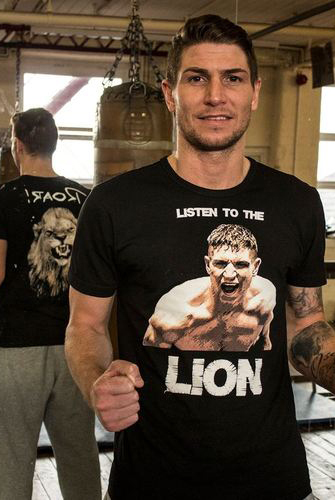 For best results, gently re-shape T-shirts when damp. Dry away from direct sunlight which can discolour the garment. 40 Degrees maximum. A single bar underneath means reduced agitation, and a gentler programme. Do not bleach: especially with inappropriate bleaching solvents (i.e. household bleaches) which can damage the fibres. Warm Iron helps achieve optimum results. Iron printed areas inside out. Do not dry clean, as the dry cleaning chemicals may damage the print. Tumble drying possible. A single dot in the middle means that a low temperature setting should be used.